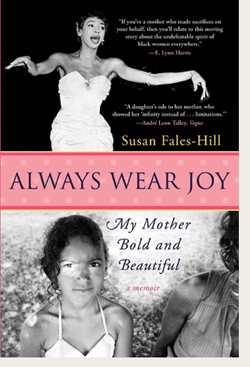 "At last, at last a memoir by a daughter who appreciates and loves her mother, at last." "Television writer/producer Fales-Hill recalls her mother, a Haitian-American musical legend who gave up her career for marriage, in one of those rare tributes that capture exactly what made someone widely loved and admired. Mixing family history with her own recollections, the author begins with her parents' marriage in 1958, Josephine Premice, the Brooklyn-bred daughter of well-born and cultured Haitians, was appearing in the musical Jamaica when she met wealthy WASP Timothy Fales, an iconoclast who loved literature and reading but left Harvard to go to sea. The two married and moved to Rome; Josephine gave up her career to become a devoted mother. The couple knew everybody from Harry Belafonte to Richard Burton, and when they moved back to New York in 1963, their home became a lively salon for black and white intellectuals and actors. The children went to a French school and spent summers on the Fales family estate. These idyllic times ended in 1985, the year Susan graduated from Harvard, when her father moved to Paris and took up with the first in a succession of other women. Josephine stayed home putting on a brave front. Despite bad breaks she strove to be upbeat, well-dressed, and "semper fabulous"; in the late '90s, she turned her own mother's death from emphysema into a performance worthy of the greatest diva. The author affectingly describes all the good and bad moments. Her poignant tale of an unusual woman and an unusual marriage also quietly but eloquently indicts blacks and whites who continue to think stereotypically. At Harvard, Fales-Hill was called an "incognegro" by black students because she associated with whites; Josephine, who had a stellar résumé, was by the 1980s considered too elegant and well-spoken for TV movies that wanted fat black women talking trash.